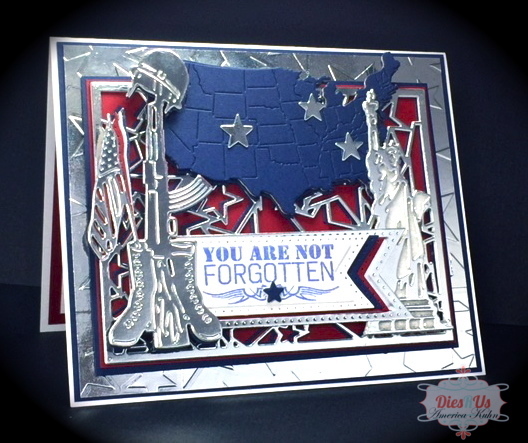 Cards by America: A Soldier's Tribute! Hello and welcome back to my little blog. 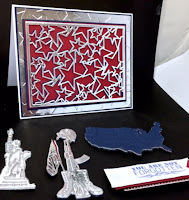 Im back to share my patriotic make for Memorial Day and my post at DRU's Inspirational Blog! Check it out HERE! Are you a huge Sue Wilson FAN like me? Then you should hurry on over to VISIT this Facebook Page! 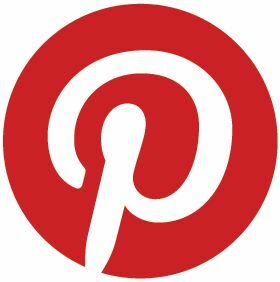 We are a FUN crafty group of SW enthusiasts - where we share makes, ideas, tips and interact with other fabulous FANS! 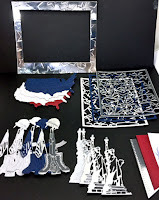 I do hope to have inspired you today and that you'll give these great cutting dies a try! A beautiful patriotic card, America. Thank you so much for the card recipe. As I am new in card making, you inspire me!!!!!! Kisses, my friend. 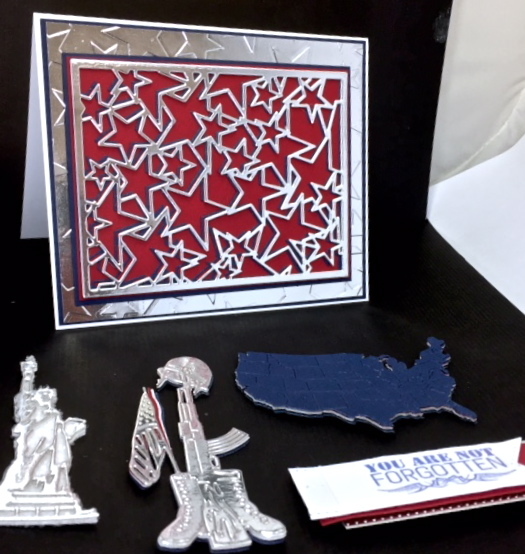 This is such an awesome choice of colors and die cuts. 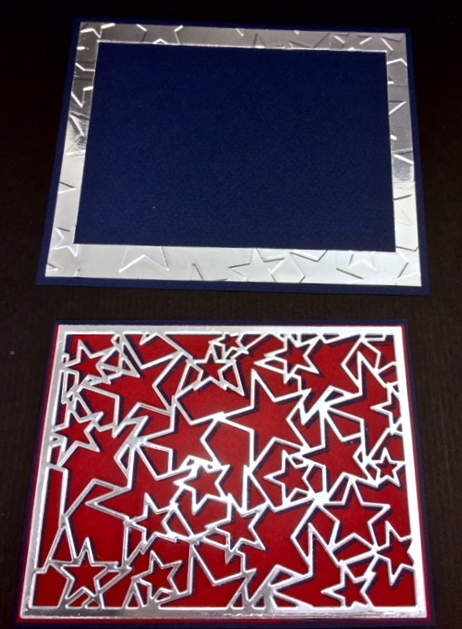 The star panel looks so awesome cut from the silver. 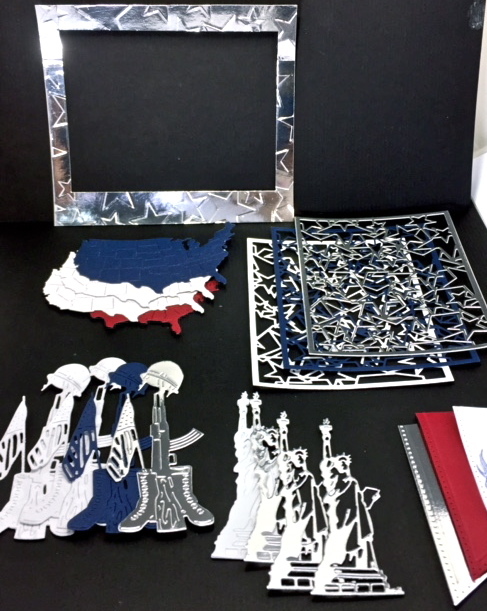 Very patriotic project. Looks amazing and lovely work. Thank you for sharing with us over here at "A Perfect Time To Craft" and best of luck with your entry. You were one of the lucky winners from Challenge #166 at the Crafty Gals Corner! Great card, so much detail. Thank you for sharing with us over here at "A Perfect Time To Craft" and best of luck with your entry.